✅A meet & chat to discuss YOUR goals & what YOU want achieve. YOU are an individual & unique, therefore the approach we take must also be unique. ✅We will discuss the best way for YOU to make realistic & sustainable changes to YOUR lifestyle & YOUR eating habits/patterns. 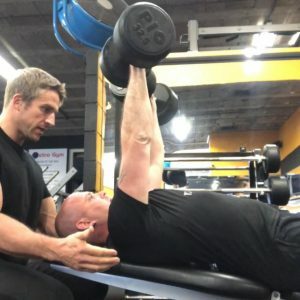 ✅10 x Personal Training sessions (all performed at MetroGym at times to suit, with NO extra cost or membership required, click here to learn more about MetroGym). ✅ If you are currently a member of a gym, I will provide you with a tailored program to compliment our PT sessions. The total cost of this complete package is only £200!! If you wish to train, get results, & not just simply ‘go to the gym’ this is for you…. ( we can also have a laugh along the way  ). Please feel free to share this offer with a friend. Tristan ‘come with me if you want to lift’ Buttle. P.S: I am running this offer until 31/05/18. All packages must be paid for by this date. All 10 sessions must be completed by 31/08/18.